On Monday June 28th Girl Scout Troop 52961 presented the Lakes Area Police Department with Gril Scout Copokies in appreciation for the Police Officer's service to the community. 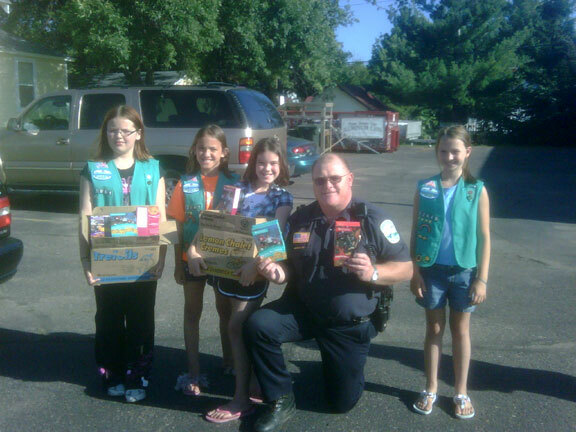 Pictured are members of Gril Scout Troop 52961 of Lindstrom presenting Chief Stenson of Lakes Area PD with several boxes of cookies. During the event, the girls discovered a stray dog running on Highway 8 in traffic and were abole to contian the dog until the owner was located. Good work girls! !